Whenever someone mentions a detox diet or a detoxifying diet the first thing that comes to my mind is bland, tasteless food or a liquid diet. The idea of detoxing may be unappealing and some are even resistive to this thought. Our daily diets are high in GMO’s (Genetically Modified Organisms), pesticide ridden, processed and high sodium foods that contribute to toxic build-up. These cause or contribute to many underlying medical conditions. No matter how delicious mac and cheese can be harmful! The macaroni and cheese you had for dinner may have tasted wonderful but is full of toxins that can harm your body over time. However, the truth is, once you start your detox diet you can come up with some delicious meals made up pure detoxifying foods! When you choose to eat foods that naturally cleanse and heal the body, you will appreciate the flavors that were previously hidden by the chemicals and pesticides. Cabbage: There is a reason the cabbage soup diet is so popular and seems to work wonders. Cabbage helps rid the body of toxins and purifies the blood. It also lowers cholesterol, which is an added benefit. Eat raw cabbage in salads, stir fried cabbage or make a big batch of cabbage soup to include in your diet on a regular basis. Garlic: From sore throats to skin problems, it seems like garlic can be cure for all problems. Garlic boosts the immune system and aids in liver functions. Add garlic to stir fry’s and in savory dishes to flush out toxins. Ginger: Ginger is another food that aids in detoxification; it aids in liver functions and is also considered an astringent. Include ginger in your diet by drinking ginger tea, ginger flavored water or adding it to soups and other foods. minerals and helps detoxify the kidneys. 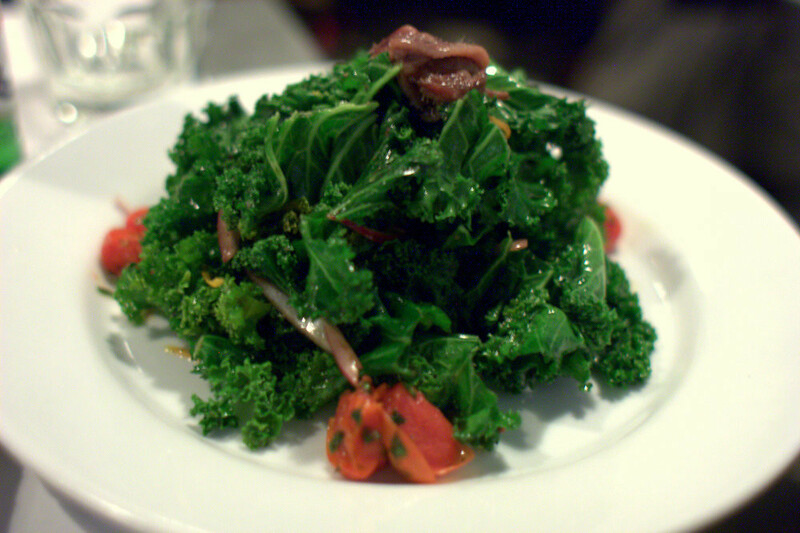 Kale also has anti-inflammatory properties and contains anti-oxidants. Add kale in salads and stir fries or make kale chips or smoothies to add this wonderful vegetable to your diet. Grapefruit: Grapefruits are full of nutrients that will nourish you in a wonderful way.Grapefruit is an amazing detoxifying food and helps the liver burn fat and lose weight! Eat half a grapefruit for breakfast or drink grapefruit juice everyday and notice the changes yourself. I have found that pink grapefruit is a little sweeter and therefore my favorite. Lemons: No detox diet is ever complete without lemons and that is because they work wonders in removing toxins from the body! Lemon helps with digestion and helps clear the complexion. The best way to include lemon in the diet is to add a few drops to your water, herbal or decaf tea. An easy to make detox drink can be made of cayenne pepper and lemon juice added to water; this drink can help flush out toxins from the body. Turmeric: Turmeric is a wonder herb and detoxifying agent. It has many benefits including acting as an anti-inflammatory, free radical scavenger, improves brain function and support neurotransmitter activity to help relieve depression. The yellow herb can be found in the herb section of your health food store or in teas. You can include this tea in your diet for a week to flush out toxins and enjoy a toxin free body. Avocados: Avocados promote the release of bile from the gallbladder which support the elimination of toxins from the body. It also helps with the absorption of fat-soluble vitamins.They help by lowering cholesterol and cleaning your arteries. They are also high in fiber. Flaxseeds and Flaxseed Oil: Flaxseed is considered a ‘Superfood’ that helps toxins be released efficiently from the body. When ground, the flaxseed provides a good fiber source, which helps bind toxins in the colon and usher them out. You might have thought of flaxseed when thinking of omega 3’s because this powerful little seed provides a good course of these essential oils. Beets: This yummy vegetable is high in B3, B6 and beta-carotene. Like the avocado it supports the release of bile from the gallbladder and support liver health as well. It has strong levels of calcium, zinc, iron and magnesium which help with cleansing and elimination. Berries: All berries will be helpful with your detox although blueberries is a real winner in this regard. They are high in fiber and Vitamin C. That blue skin color is filled with an anti-oxidant call anthocyanin. This helps with free radical damage. It also helps prevent allergies, diabetes, eye disorders, heart disease, peptic ulcers and Alzheimers. They have also been purported to work well for anti-aging. Brown Rice: Brown rice is rich in fiber, selenium and manganese. These things are powerful support to detoxification and a healthy body. It has been shown to lower cholesterol and support postmenopausal women in the prevention of high blood pressure and cardiovascular disease. It also has phytonutrients that may be even higher than some fruits and vegetables. Water is a great cleanser. Water: Sometimes in all the raving about the latest diets or the latest health foods, we forget nature’s number one detoxifying agent and that is water! Our bodies are made of over seventy percent water and it is the one thing that can help restore the balance in the body. Drink at least ½ oz of water for every pound of body weight to keep the toxins flushed out. Flavor water with strawberries, oranges, cucumbers, lemon or mint to increase intake. It is not only important to change your diet but also your daily routine. Detoxifying is not an overnight cure rather a gradual overall change in lifestyle. A great lifestyle change which includes regular detoxing foods will make you healthier and your body more alive and energetic. Eat detoxifying foods every single day. What I have written about here is just a touch of what is available to improve your healthy body. Learn about other great foods for staying healthy as well. When you do it will be very rewarding for your physical, emotional and mental health. You will begin to feel full of energy, be happier and notice better mental clarity from these nutrient dense foods. Your body needs better nourishment and nutrients so it’s best to eat foods that are right for it. Be cautious to not revert back to your old ways! The minute you see yourself indulging in too many other foods you will quickly see a decrease in energy, attitude and mind clarity. This is a great reminder to fill your meals with fresh, NON-GMO and organic food. When you decide to add more detoxifying foods to your diet it’s also important to let go of habits such as smoking, drinking alcohol and drug use. These addictive habits are very difficult to let go off, but seek help and surround yourself with supportive and encouraging people. It is also very important to examine your stress level. Stress creates many free radicals in your body and will affect your overall health tremendously. Making a commitment to this lifestyle change will help you feel better about yourself Once you eliminate addictive habits and add these detoxifying foods to your regular diet you will feel cleaner and healthier. This feel good factor will stay with you for a lifetime! Esateys (pronounced Ee sáh teez) is an International Life Transformational Speaker, Author, Master Facilitator, Life Coach and Expert in the Human condition. She is a Nationally and Board Certified Nurse Practitioner. For over 30 years, she has practiced, taught and lectured extensively in the allopathic and alternative medicine field. Esateys is known for her groundbreaking work in the areas of personal empowerment and health restoration using mindset and inner connection as the catalyst for all change. Esateys describes herself as the ‘Architect of the New You’ and has dedicated her life and professional career to helping her clients create “New Beginnings” by facilitating self empowerment, economic freedom and restored health. For more information, go to esateys.com.